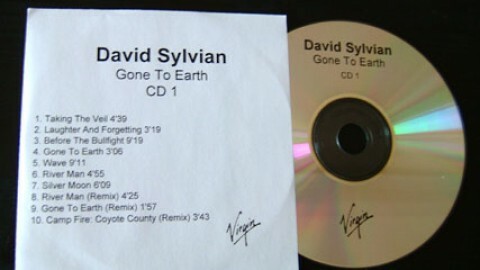 2012 Virgin Records Ltd. and 2012 EMI Records Ltd.
EMI distributed the 2CD-R set with a press sheet. 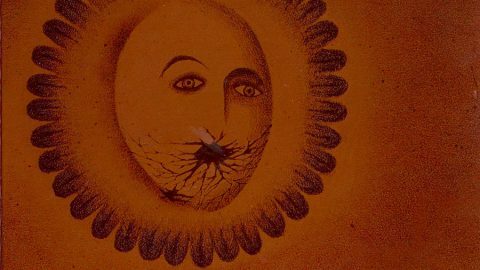 Full tracklist as on original. 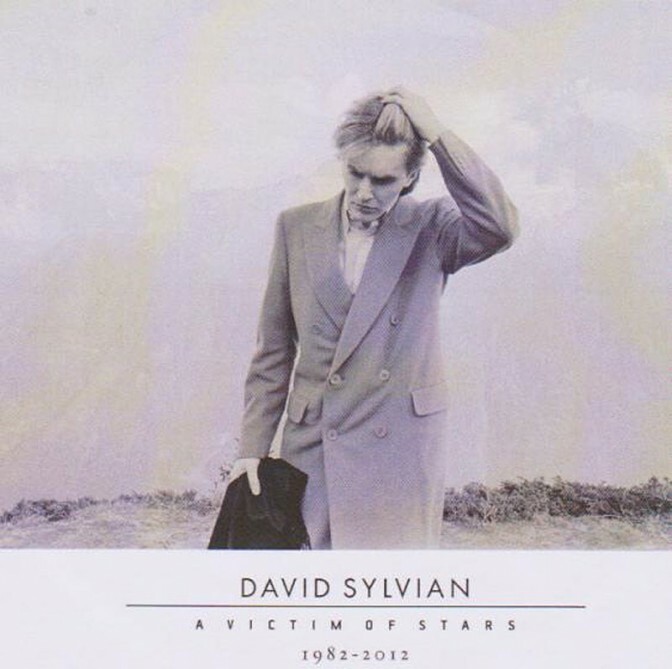 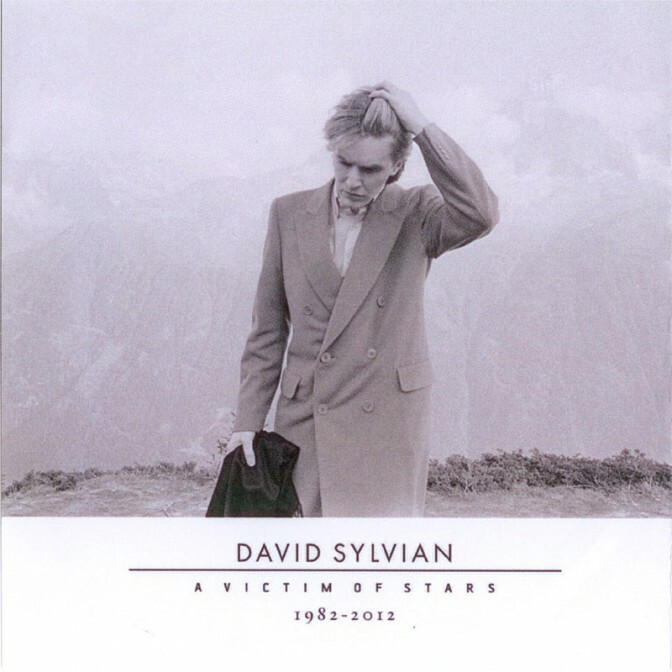 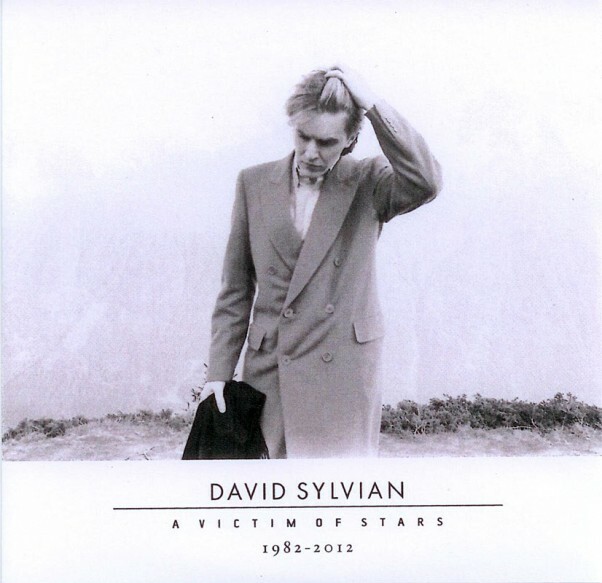 A Victim Of Stars,1982 – 2011′ brings together material from the last 30 years of David Sylvians solo career, encompassing material released with Virgin Records, along with his more recent work released on his own label samadhisound, as well as a brand new recording exclusive to this compilation. 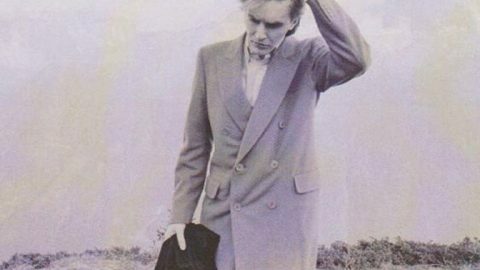 On his solo records of the ’80s, Sylvian’s explorations in music took him from the pop-funk, stylish jazz and windswept exotica of 1984s Brilliant Trees; the ambient landscapes and epic ballads of 1985s Gone To Earth; and the romantic orchestrations of 1987s Secrets Of The Beehive. 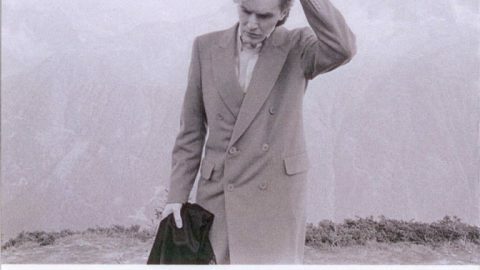 His collaborators included leaders of progressive music, from jazzmen such as Mark Isham, John Taylor and Kenny Wheeler to the rock and fusion guitarists Robert Fripp, Bill Nelson, and David Torn. 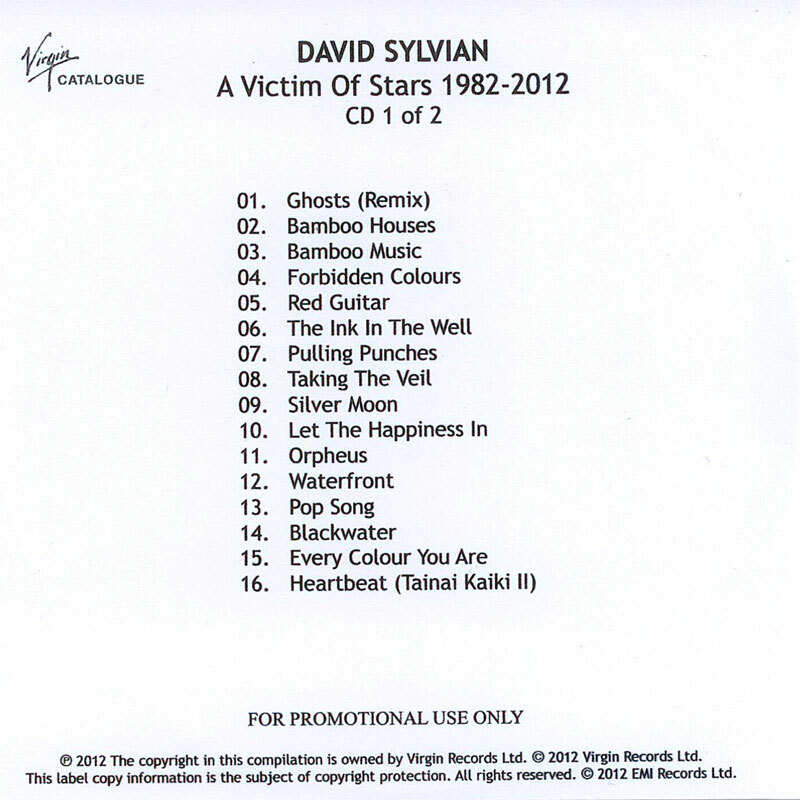 Regular collaborations with composer and Yellow Magic Orchestra star Ryuichi Sakamoto yielded Sylvian’s first international hit, “Forbidden Colours’, along with ‘Bamboo Houses’ and ‘Bamboo Music’. 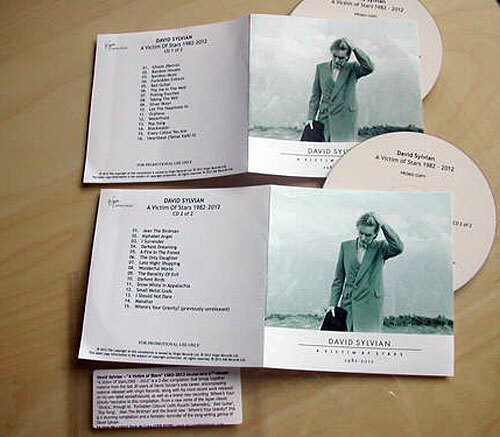 In the early ’90s, Sylvian embarked on a series of acclaimed tours with Robert Fripp, leading to their 1993 studio release The First Day. 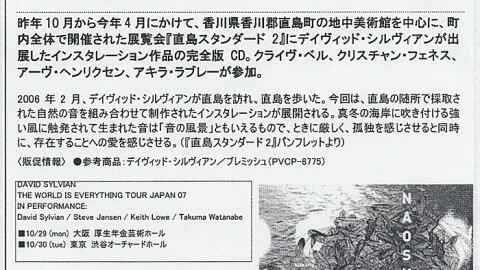 And 1991 saw the release of Rain Tree Crow, a Japan reunion under a different name. 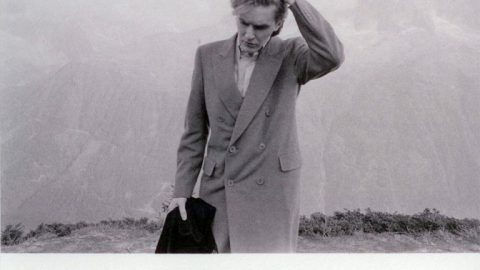 But Sylvian grew less prolific as the decade wore on, taking four years to finish 1999s Dead Bees On A Cake. 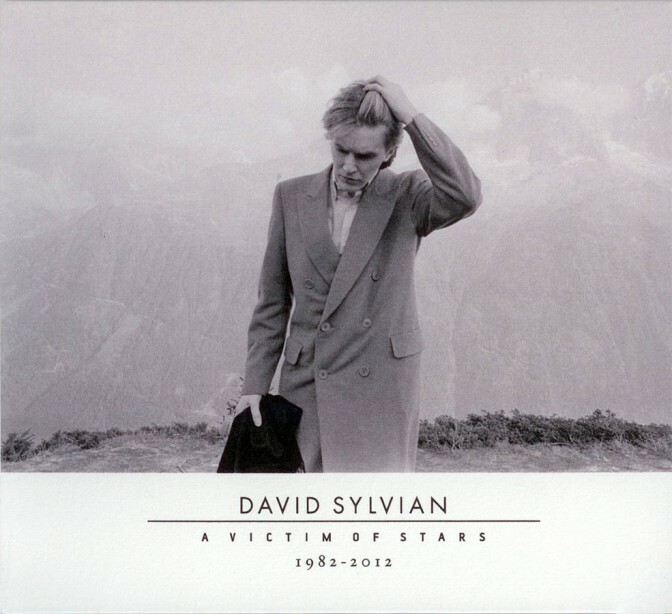 Dead Bees included the hit single “I Surrender,” where Sylvian crafts an eye-openingly beautiful vessel around his spiritual journey. 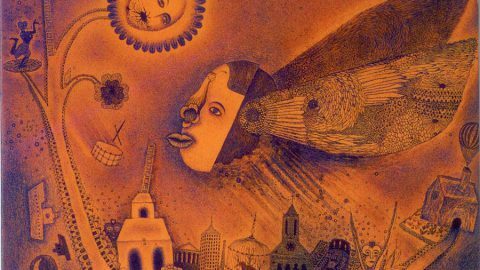 His determination to confront his vulnerabilities led to arguably his most powerful album to date, 2003s Blemish. 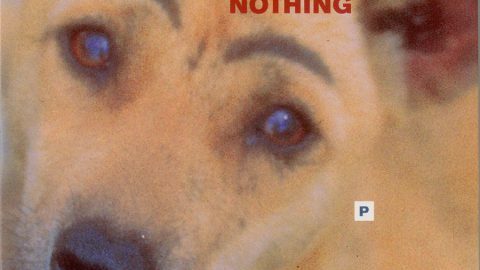 More recently, he has also released Snow Borne Sorrow and Money for All, an LP and EP from the band Nine Horses. 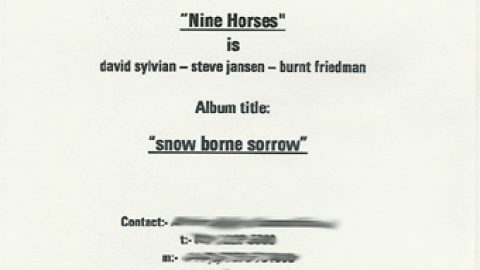 Nine Horses is a trio that includes his brother and regular collaborator Steve Jansen and electronica artist Burnt Friedman, as well as contributions from singer Stina Nordenstam, trumpeter Arve Henriksen, and Ryuichi Sakamoto on piano. 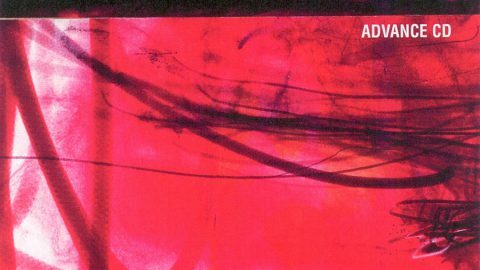 In 2009, the project that began in Blemish continued with Manafon, an album that assembled the worlds leading free improvisers, including Evan Parker, Keith Rowe, Fennesz, Sachiko M, Otomo Yoshihide, and John Tilbury, among several others. 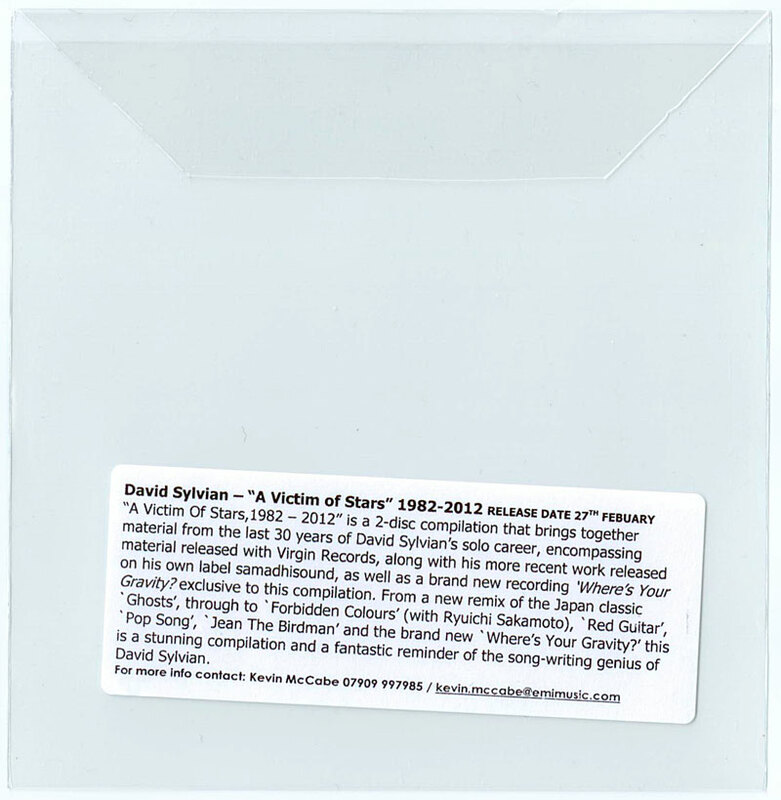 And completing the source material for the compilation is his most recent release Died In The Wool, made up of variations on Manafon and including collaborations with acclaimed composer Dai Fujikura, producers Jan Bang and Erik Honor and a stellar roster of contemporary musicians and improvisers. 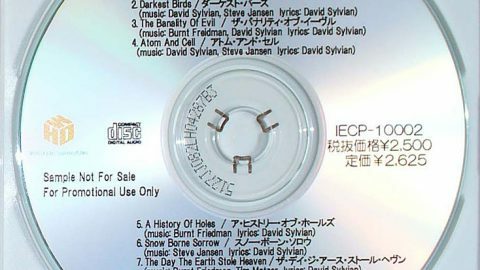 Many thanks to Richard Onslow (EMI) and Stefan C. Attrill for providing this info.